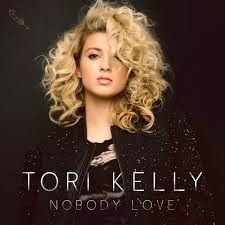 MELISMATIC: HEAR THIS: Tori Kelly Slays "Nobody Love"
HEAR THIS: Tori Kelly Slays "Nobody Love"
America, your next popstar is waiting on Line 2. You can stop relying on Taylor Swift. And that's an order. Around this time last year, I was jamming out to Ms. Tori Kelly's stellar Foreward EP. Fast forward to now and serious strides have been made toward her upcoming full-length debut album with Capitol Records by way of the very. big. single. that is "Nobody Love". Pay Attention, please. "Nobody Love" is co-written by Max Martin. That alone should be enough to get you to want to listen but there's more. Tori co-wrote the song with Max. It is 100% her transition song toward PopStar Status -- decidedly more Top 40 than any of her previous material. Her big voice isn't forsaken however. The song is a bit schizophrenic with tempo changes and beat hiccups, lots of 90's flair, a crazy range of sung notes, and Tori kills the bridge with almost fifteen solid seconds of serious melisma that literally makes me exclaim out loud "YES!" whenever I listen to the song. "Nobody Love" has cracked the Top 40 of Billboard's Pop Songs chart but currently sits outside the Hot 100. Help change that by buying this jam on iTunes and you too can tell folks you knew about Tori when.